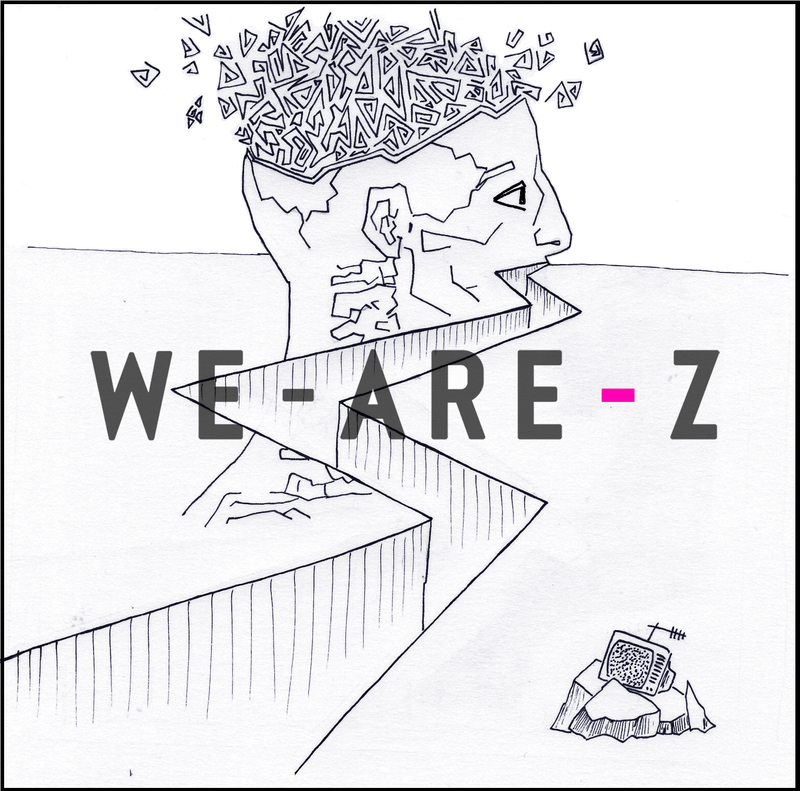 We Are Z describe what they do as “alternative indie pop that you could file next to bands like Vampire Weekend”. Indee melody is key. Additional influences include movies, and biographies “of people who have lived extraordinary lives and existed on the fringes of what’s considered normal”, the band state on its Facebook profile. By the way, if by any chance you’re searching for something new that could came out from the indie-rock side of the scene in the style of Vampire Weekend or Kasabian and that celebrate “weirdness”…well say hello to rockin’ guys of We-Are-Z. They comprise Marc “Archie” Arciero on bass and keyboards, Gabriel Cazes on vocals, guitar, keyboards and drums, and part-time magician Clement Leguidcoq on keyboards, percussion and backing vocals: they’re a self-contained unit who write and perform their own material, and produce it in their studio in south-west London. Their upcoming new single is called Knucklehead. It’s an immediately likeable indie song with a great beat, stepping rhythm session, hooky hipnotic vocal that reminds me Clap Your Hands Say Yeah’ singer style, and imaginative guitar riffs that complete We Are Z’ state of art of this great rock track.